Now when I divide the number of days I have been living by this result i.e. 18608 / 11500.3395 the new result I find is the golden ratio of 1.61803 famous in geometry and esoterism! After all maybe am I the reincarnation of the emperor Jimmu (神武天皇)? 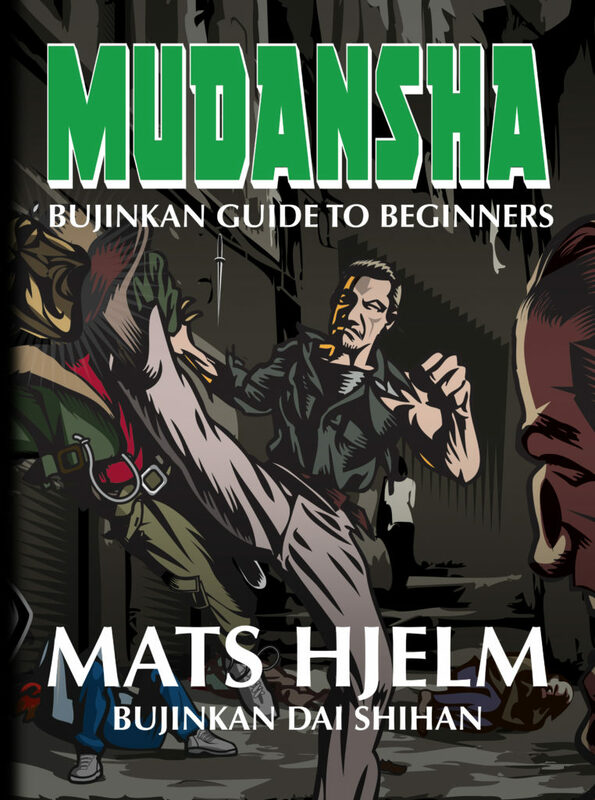 My point when I wrote the “3=5″ was simply to help the bujinkan practitioner to solve an apparent contradiction in the names of the techniques used daily in our classes. But remember that sensei is often playing with numerology. Today Noguchi sensei did the first morning class and he taught us parts of the koto ryû. Then it was the regular class with sôke but as he had some obligations, I was honoured by Noguchi sensei to begin the teaching. This is not the first time it happens to me on Sundays but I always find it strange when it happens. When I remember my first classes here in Japan more than 20 years ago (no Honbu dôjô at that time) I measure the long path I have been following since then. Back then, I would never have suspected that the young man I was then, would learn so much on how to become a true human being. What Hatsumi sensei is teaching in his budô is not a set of old fighting techniques but really a way of Life that transforms you more than you think. As he said yesterday night we have to behave as members of the samurai class, the upper layer of the Japanese feudal society. Our actions should be guided by the code of chivalry. 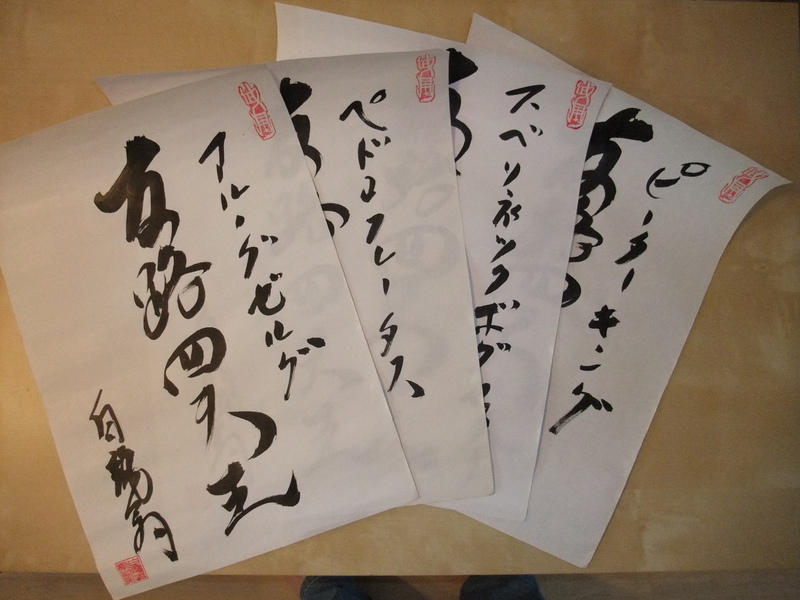 Today during the calligraphy session, I asked him to write “chivalry” and I got “shinobi” … I don’t think he made a mistake. He is teaching us through mysterious ways. During the break, he told me that we (jûgodan) have to follow him and walk by his side as long as we can and do what he asks instead of thinking too much by ourselves. Being a sensei he is guiding us as far as possible, and the closer we are to him the further we can go. This is, he said, what he did with Takamatsu sensei. I updated the website. I’m sorry that all the new news from Budoshop’s new releases occupy the first pages, it is because the post dates all was today on the feed (this is a BUG :-(!). From now on the newest articles should show up in order. 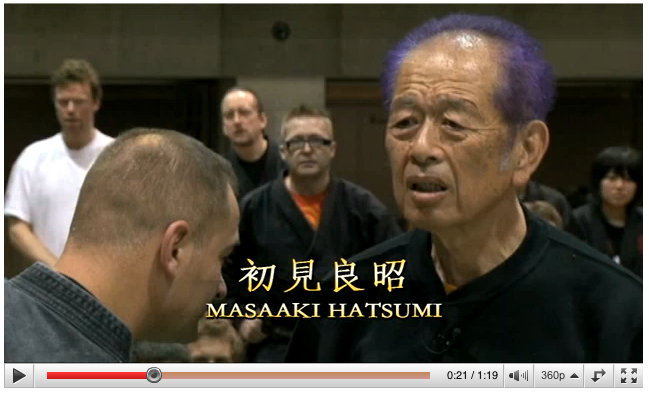 Shortly after his second Japan trip this year training with Soke and the Shihan, he held this seminar. 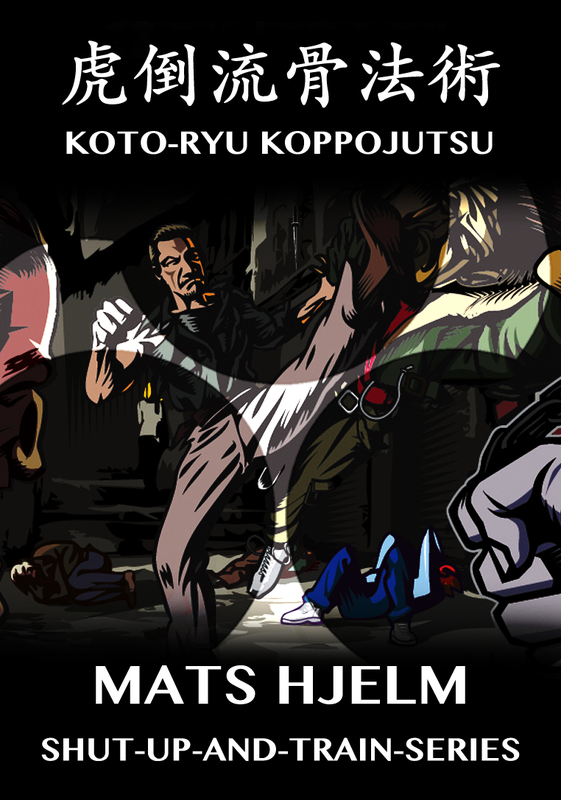 This video contains Taijutsu techniques with variations including the Hanbo (short staff). 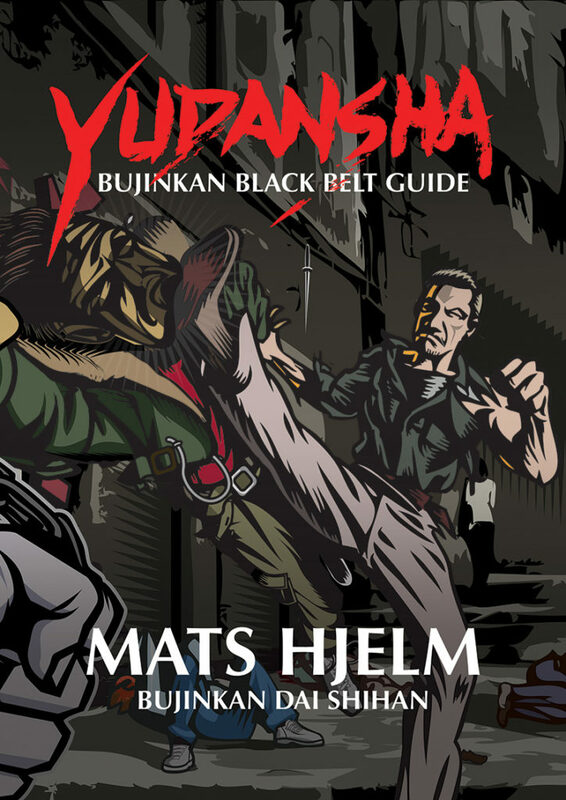 Also Hanbojutsu basics with Taijutsu applications. You can see how similar the Taijutsu techniques can be done with a weapon, and how easy it is to do a weapon technique without a weapon. This movie was filmed June 27′th in 2009 at Kaigozan Dojo. 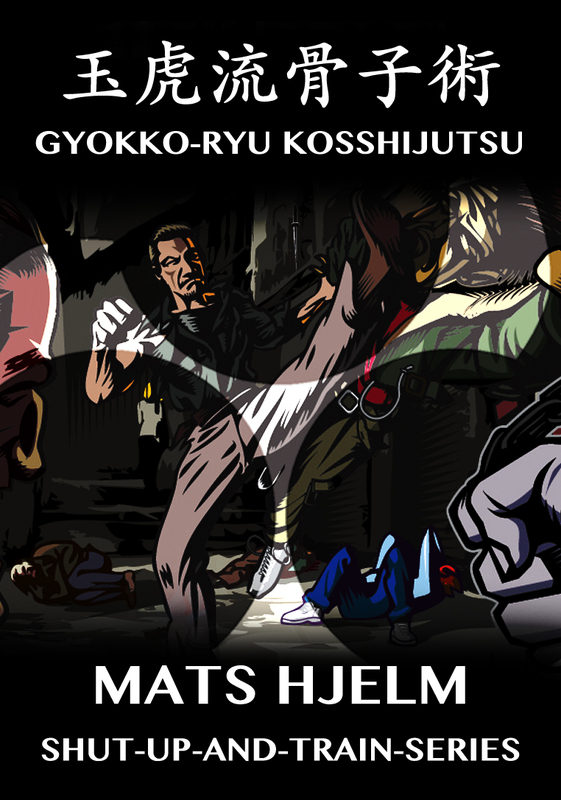 This training was taught by Mats Hjelm, Bujinkan Shihan Kugyo Happobiken. NOTE! The instructions is in Swedish, but there is not so much talk but more action.